Disc harrows and vertical tillage tools are a couple of popular options farmers have for working their ground. Whichever one you use, it is a given that parts will wear out. 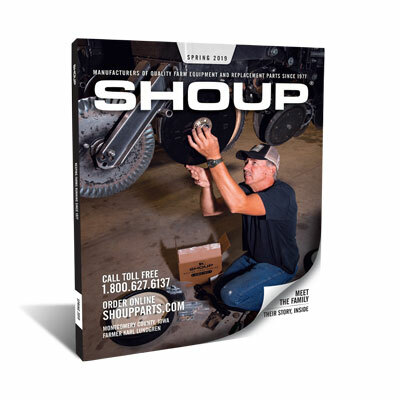 Rebuilding a disc harrow or vertical tillage tool is a tough job, and at Shoup Manufacturing, we want to make sure you have to do that the least amount possible. That’s why we carry a wide variety of heavy duty disc blades, disc bearings, spacer spools, disc scrapers, and disc axles that meet or exceed the OEM specifications. We are pleased to offer replacement disc harrow parts for names like John Deere, Case-IH, Kewanee, Miller, and others. We have vertical tillage parts for Great Plains, McFarlane, and Salford. We also get your order to you promptly, with our lightning fast shipping process.